Capacity range is from 800CFM to 2200CFM. 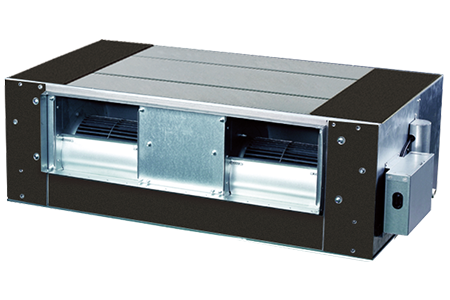 High external static pressure allows extensive ductwork runs and flexible application: ideal for use in shops, medium size offices and large areas. 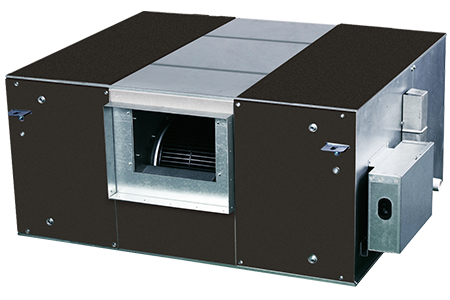 High air volume, high static pressure and high capacity. Flexible control, no standard controller, remote controller and wired controller are optional. 1. H: მაღალი დაბერვის სიჩქარე; M: საშუალო დაბერვის სიჩქარე; L: დაბალი დაბერვის სიჩქარე. 4. ხმაურის დონე იზომება ექოს არმქონე დახურულ კამერაში, აგრეგატის სტანდარტული მუშაობის რეჟიმში.